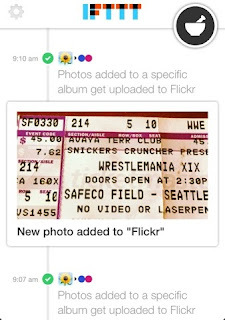 Flickr announced today that it was improving the way it did web embedding. Let's put it to the test. The fruit. Not the computer company. "I'm lying on your new t-shirts! HAHAHAHAHA!" I guess - now that we're about to end our landline - that I should finally learn my mobile phone number. The good people at Readdle were kind enough to hook me up with an advance copy of their iOS new calendar app, Calendars 5, which releases today in iTunes. You will be able to find lots of reviews that will talk about the features and such of the app, and Readdle wrote a blog detailing its features. I wanted to write about my experience because, as I've noted in the past, I find too many tech bloggers tend to merely rewrite the press release without playing with the app and putting it in some context. I used Readdle's now-discontinued app, Calendars+ for a few weeks after getting it on a promotional deal for free (it was a $6.99 app). For the most part, I enjoyed it. It was my first venture in using anything other than the default Calendar iPhone app (which I had synced to my Google Calendar so I could access it on my browser). New iPhones! Star Trek! Big Bang Theory! SO MUCH GEEKING OUT! Oh BlackBerry. Why can't you do anything right? From my YouTube channel: A video I shot of the sunrise in Edmonton on August 20. The colors are spectacular. 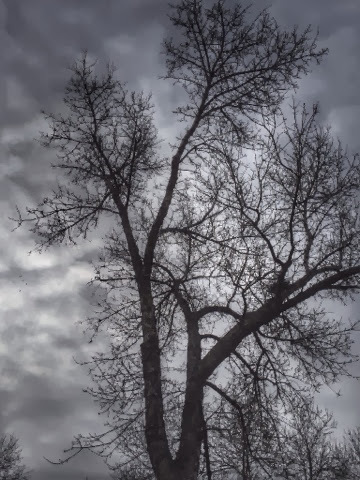 The YouTube capture app has (for the most part) become my default video recording app on my iPhone. It makes it easy to shoot and upload video all from the same app. Worth a try if you shoot a lot of video for YouTube. This one. From just last week. With a whopping SEVENTEEN! Hey, I'm a social media star. From Google+: Maple bacon mini donuts! 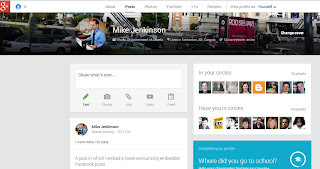 My triumphant return to Blogger begins with ... a Google+ crosspost? Following the #blogsofAugust experiment, I'm back to blogging on my Blogger hosted site again, but expect to see a lot more cross pollination of my social media networks on here, beginning with this post from Google+ in early August. Because, honestly, I didn't miss Blogger as much as I thought I would, and I got way more bang for my social media buck on Google+ than I anticipated. So I'm probably going to spend a lot more time there and a lot less time here. Right now, I'm thinking that this will become my "Greatest Hits" compilation from Google+, Facebook, Instagram and Twitter. 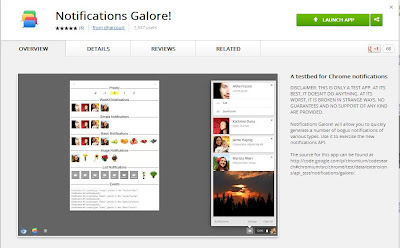 Or use the G+ badge on the right-hand side of the page. Here's a neat trick I discovered when Googling around for ways to basically crosspost your Google+ posts back to Blogger. 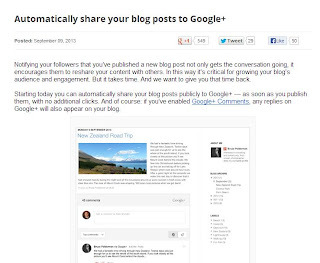 I'm reading Google+ tonight, and one of my favorite tech bloggers, Mike Elgan, is encouraging bloggers to blog exclusively on Google+ for the month of August. And I figure, why not? So, during August, you can find my blogs only on my Google+ profile. Feel free to comment on them there, share them, etc. Or ignore them, like you do here. It's OK. I won't be hurt. Anyone who has followed me on Twitter of late has seen me melt down a few times over Google Chrome's new "notification center", which is supposed to bring rich text notifications to your desktop via the Chrome browser. It's a great idea. At least, it would be if it worked. Or, at least, worked for me. I didn't blog this trip because we were having too much fun and I didn't make the time in the evenings but I did do a video of it. Pictures to come as well when we get home in a couple of days. The folks at If This Then That (IFTTT) have released an iOS app that can put some serious automation power behind routine tasks on your iPhone. The concept behind If This Then That is pretty simple, and IFTTT has now made it even more simple with essentially push-button operations: An action triggers another action, all on its own. For instance, one of the "recipes" (as they're known) that I've set up is to automatically upload any photo on my iPhone camera roll that gets put into the "Flickr" album to, naturally, Flickr. This was one I found on the IFTTT website and I activated it using my own Flickr account info. Painless. It was basically something I was doing on my own manually every couple of days, but now it's all automated to work in the background. All I have to do is move the new photos into the Flickr album in my camera roll and IFTTT does the rest. Kudos to them for this. The embed code is next to the photo on their desktop interface. One more reason why Instagram is better than Vine. Jasper National Park, a set on Flickr. It's kinda ridiculous that, despite the fact we live 4 hours from Jasper, we haven't been there in 10 years. But thanks to some visiting friends from Manitoba, we had a good excuse to head to the mountains for the day. Much fun was had by all, capped off by taking the tram up Whistler Mountain, and then three of the five of us making the 1,000 metre hike from the trap to the top of the mountain. UFC 161 in Winnipeg, a set on Flickr. I finally got all my photos and videos posted from the UFC 161 card in Winnipeg. It was a fun time. Sure, the card wasn't the greatest, but there were some really good fights and seeing a UFC PPV live is fantastic. Now I totally want to see one in Las Vegas.